A team of researchers at Aalto University in Finland has found a way to use nanowires to build all-optical logic gates—a major step toward building a light-based computer. In their paper published in the journal Science Advances, the group describes their new approach, how well it worked in testing, and what they believe needs to happen next to allow for the use of such gates in an actual computer. As the potential for speed increases diminishes for conventional computer technology, scientists look for new possibilities, such as using light to represent information rather than electrons. Unfortunately, despite a lot of time and effort, optical computers still are not a viable option. One of the major sticking points has been the development of workable all-optical logic gates—the parts of computer circuitry that are used for decision processing. The researchers note that all-optical logic gates have been developed, but they have proven to be too difficult to make in quantities needed for commercial computers. That might be changing, however, as they claim to have developed a new way to build them, which they believe could be commercialized. The idea behind the new gates is to use nanowires to transmit photons. To allow them to serve as junctions, which form the basis of logic operations, the group used two different kinds: some made of indium phosphate and some of aluminum gallium arsenide. Junctions are formed by allowing the two types to cross one another—like four-way stops on roads. The group reports that in using such nanowires, they were able to create and run all-optical logic gates that were capable of carrying out traditional computer logic operations such as OR, AND and NAND—doing so allowed them to carry out simple math problems. The researchers suggest their logic gates could be used in much the same way that electron-based logic gates are currently used in computers, or in entirely new ways. 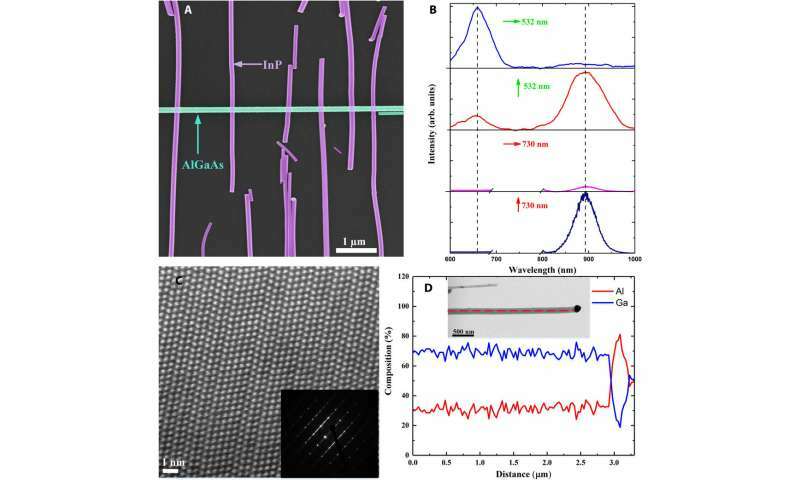 They note that the process of creating the nanowires was very straightforward—they were simply grown. But they also acknowledge that the quality of the nanowires would have to be improved to provide the type of accuracy needed in a computer. All-optical nanoscale logic components are highly desired for various applications because light may enable logic functions to be performed extremely quickly without the generation of heat and cross-talk. All-optical computing at nanoscale is therefore a promising alternative but requires the development of a complete toolbox capable of various logic functionalities. 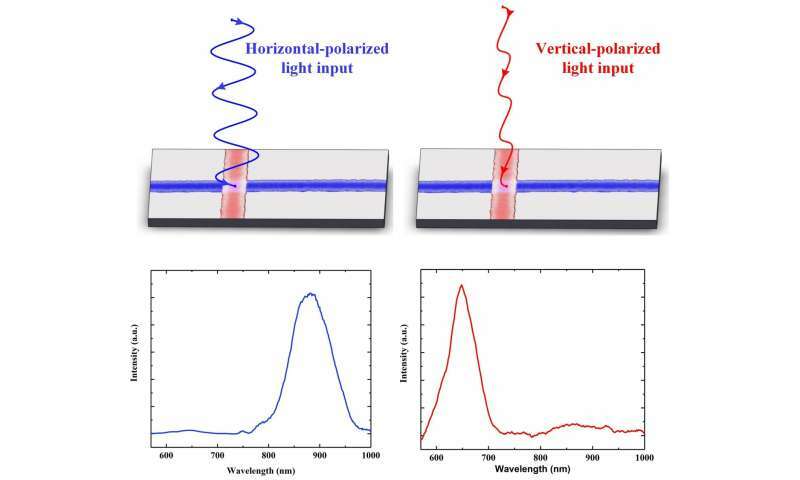 We demonstrate nanoscale all-optical switches by exploiting the polarization-dependent light emission property of crossbar InP and AlGaAs nanowire networks. These networks can perform various logic operations, such as AND, OR, NAND, and NOR binary logic functions. Furthermore, on the basis of these logic operations, our networks successfully enable all-optical arithmetic binary calculations, such as n-bit addition, to be conducted. Our results underscore the promise of assembled semiconductor nanowire networks as a building block of on-chip all-optical logic components for future nanophotonics.